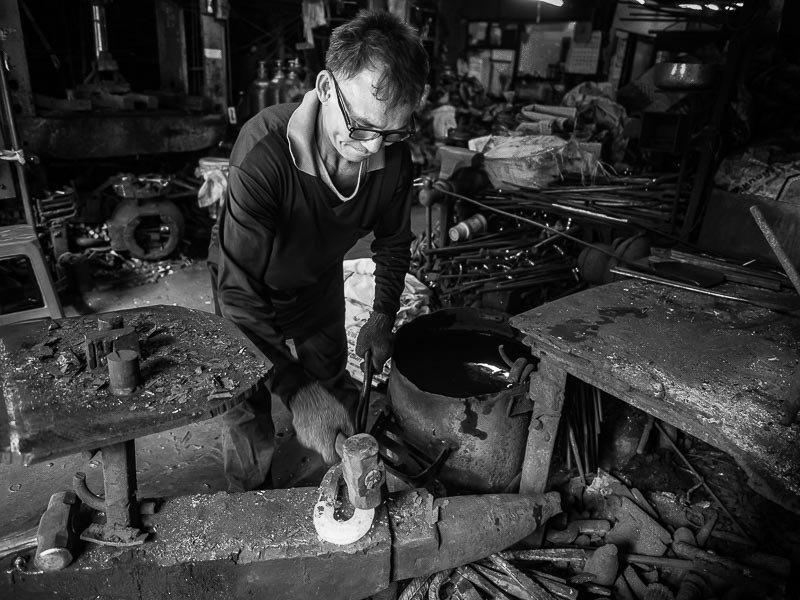 A worker bends a link into shape in a workshop/factory in the Talat Noi section of Bangkok. I went down to Talat Noi, a Chinese enclave on the Chao Phraya River south of Bangkok's main Chinatown district. I was looking for early signs of Chinese New Year, which starts February 8. It's a little early for signs of Chinese New Year but I stumbled upon a small one man workshop that makes heavy duty chains, like those used on large ocean going ships. 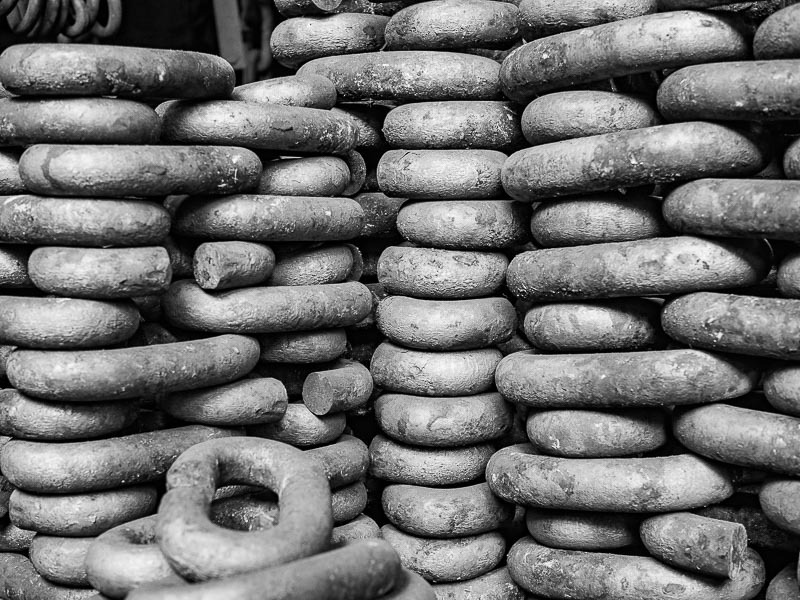 Chain links straight out of the forge. These chains are made the really old fashioned way. 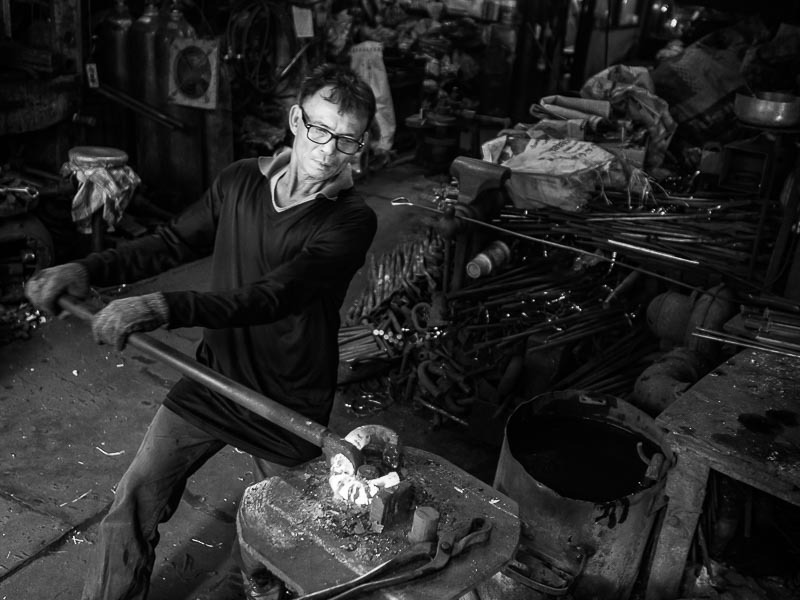 The metal is heated to glowing in a charcoal fired forge then pounded into shape by hand on an anvil. One man does all the work. Watching him work, my thought was that this process probably hasn't changed in centuries. 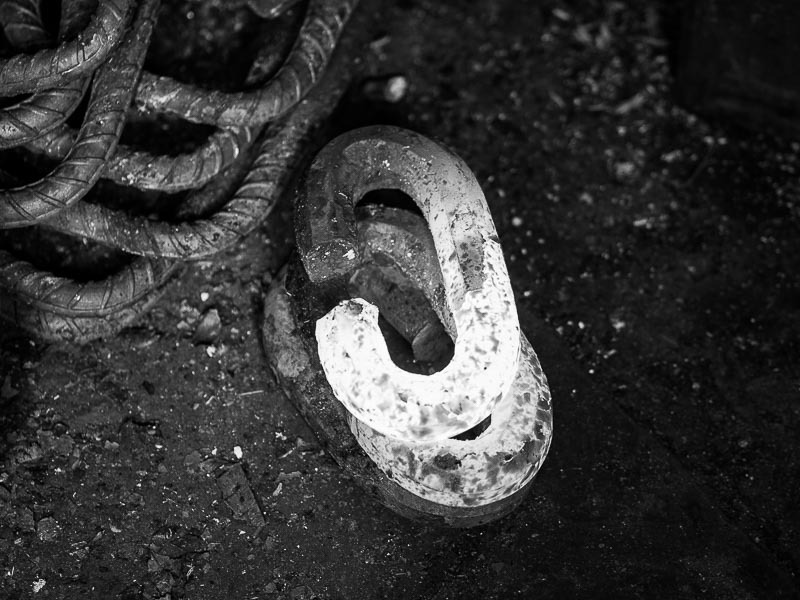 I think most heavy duty chains are now made in modern factories controlled by computer. But in this tiny corner of Bangkok, a thoroughly modern city that has embraced the 21st century, chains are being made the same way they were hundreds of years ago. Links stacked up in the workshop. Bangkok's financial district, a hyperwired collection of international banks and financial firms, is just a few kilometers away, within walking distance. But this workshop, and others like it, exist in a time warp. Links are pounded into shape on an anvil. Talat Noi is a self contained neighborhood in Bangkok and one of my favorite parts of town. While modernization and gentrification has gobbled up other parts of Bangkok, the people of Talat Noi cling to traditional life. 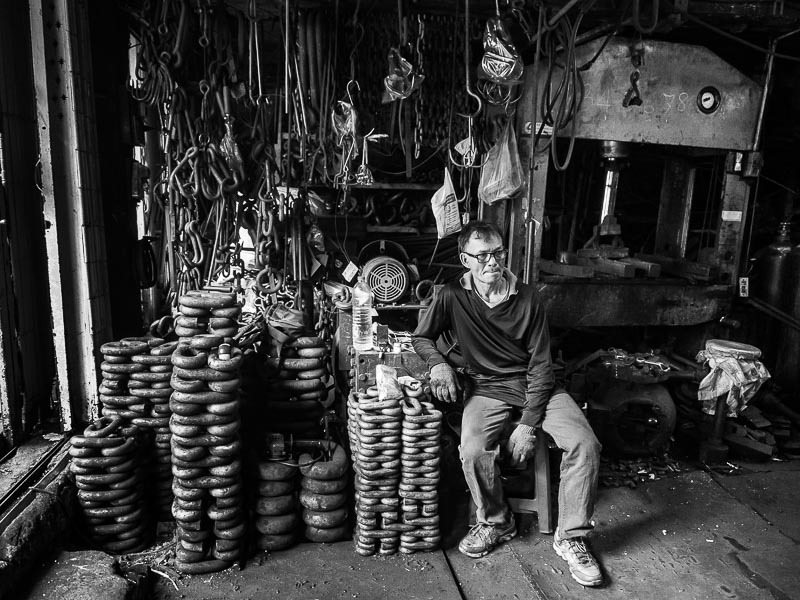 Taking a break in his workshop with his work stacked around him. 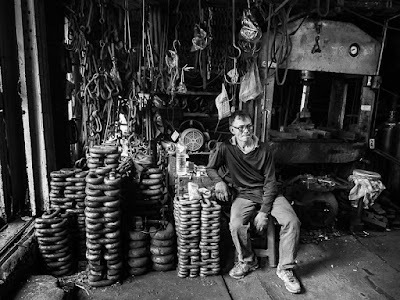 I photographed this in black and white because the gritty nature of the workshop struck me as a monochrome environment. (Actually I photographed it in black and white and color because I always work in RAW+JPEG. The raw files record the scene in color and the JPEGs in black and white.) The color photos of the chain workshop are in my archive.